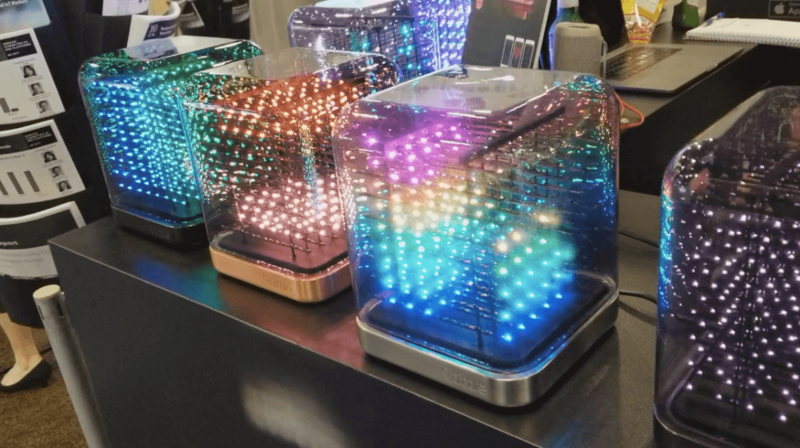 CES has plenty of flashy gadgets that never really amount to much. 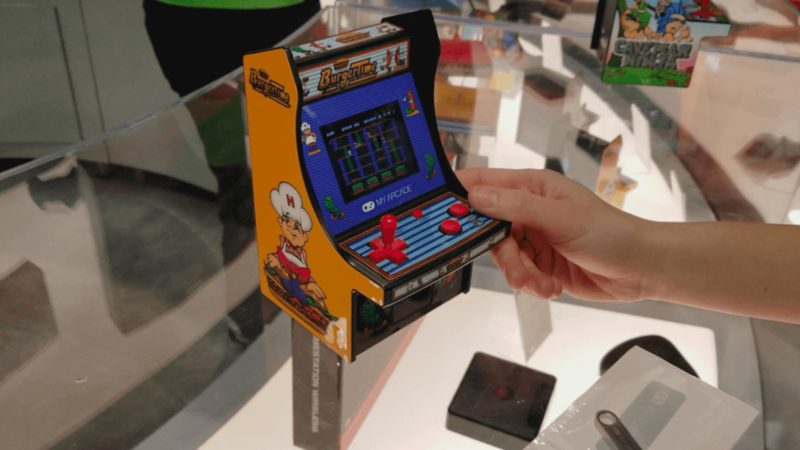 But there’s also those gadgets that make you gasp and say “I need that!” Here are the best CES 2018 gadgets that I would actually buy. Affiliate Disclosure: This page has affiliate links, which earn us commission at no cost to you. Meet Ugo: the triangular wand that acts as a remote for your smart home. Use the fingerprint scanner to tell Ugo who is using it. Then as you do specific motions like waving it or knocking it on the table, Ugo will communicate to its multi-protocol Otodo One hub to control several devices at once. A flick of the wand and your security camera can activate, blinds close, lights turn off, and the thermostat adjusts to your desired settings. The app makes it easy to control all of your devices in one place by creating scenes. Ugo has a nice look, with a status light, fingerprint sensor, loud speaker, and gyroscope to sense motion. This device will be available through telecommunications providers in Western Europe and North America. 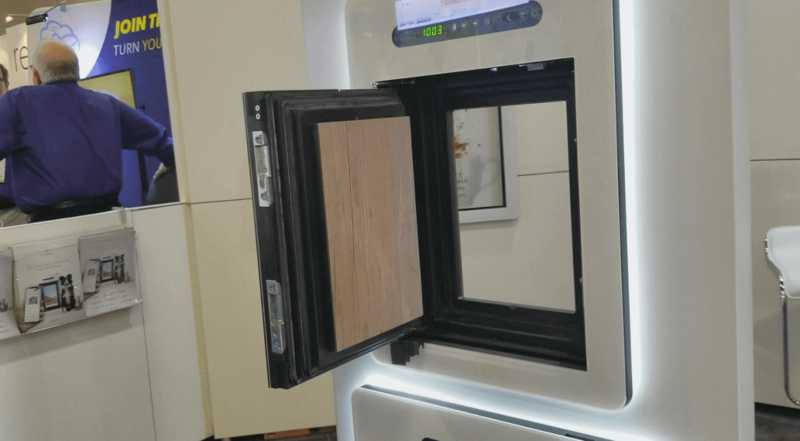 Petwalk is an Austrian-based pet door company that makes an impressively smart pet door. While the door isn’t available in the U.S. yet, it should be heading here sometime during 2018, and it’s certainly worth the wait for its unique features. You can lock it, have it open on motion, and receive custom alerts. But what’s really impressive is its RFID compatibility. Put the RFID tag on your pet’s collar and the door will open only for them. This upgrade makes it more secure than the generic doggie door. Petwalk works with Alexa and has an open API for future smart home integration. The company also has a program in Austria for using the pet doors for package deliveries. 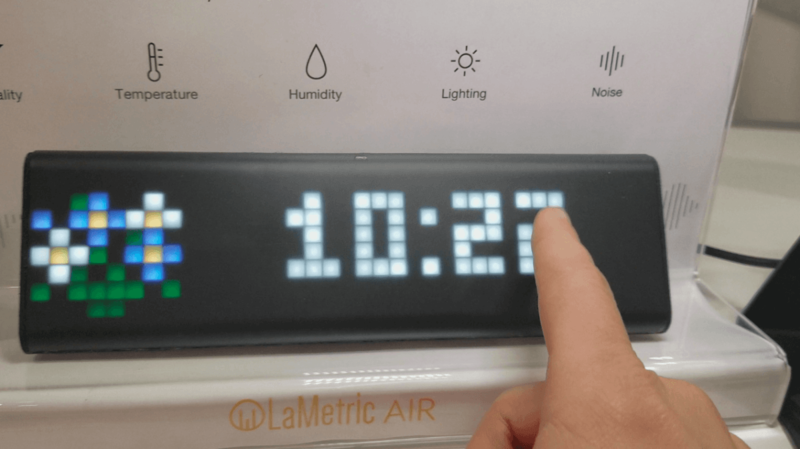 We’ve seen LaMetric smart clocks before, but their newer version LaMetric Air has an easy-swipe touchscreen that makes it stand out even more. The clock also integrates with small air quality sensors to measures air quality, temperature, humidity, lighting, and noise. It can update you on the status of these metrics on the clock. LaMetric clocks work with many smart home systems, including Netatmo, Alexa, Google Assistant, Hue, LIFX, WeMo, Nest, and IFTTT. The clock displays information from these devices at a glance. No specific word on when LaMetric Air will be released. 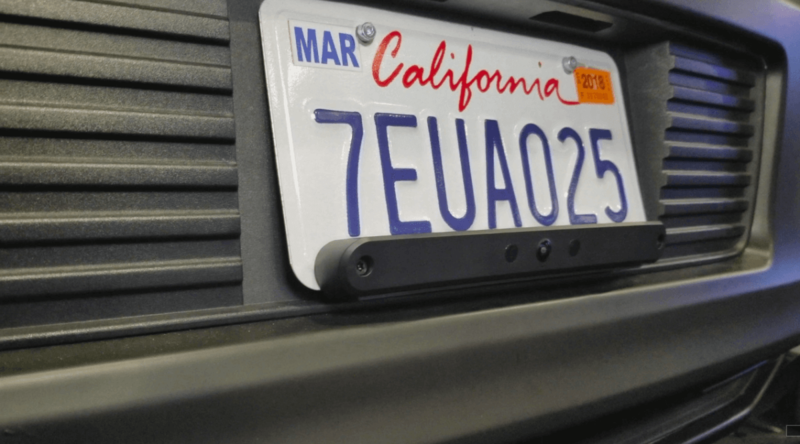 The company Nonda created a connected car system called Zus. The gadgets are sold individually—some of the interesting options for sale include the charger with a battery monitor, tire monitors that can detect a slow leak, an engine monitor that scans for potential issues, and a rechargeable backup camera. These are all retrofit options for those with a basic car that still want some of the features of newer vehicles. The back up camera is on sale now, exclusively at Walmart, while the other gadgets are on Amazon. While we’ve tested Tile and Trackr before, Orbit is a newer brand of Bluetooth trackers that we ran into at CES. Their small trackers use replaceable cell batteries, but their other gadgets are rechargeable. 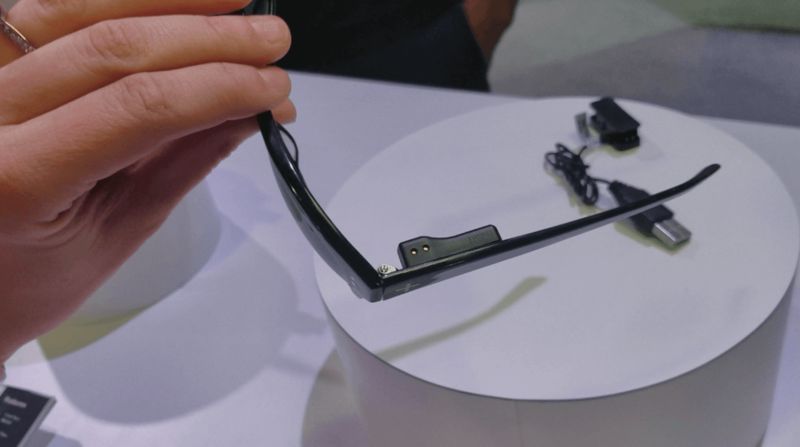 The small attachment that goes on your glasses makes it easy to locate your lost glasses by ringing them. Their wallet also has both a power bank and an Orbit tracker built right in. Both are fully rechargeable using USB outlets, which makes Orbit stand out compared to Tile and Trackr. We’re always hearing from readers that they want rechargeable Bluetooth trackers—here is your answer. Note that, just like Tile and Trackr, it does not use GPS to track your stuff, but instead has a range of up to 100 feet. Outside of that range, you’ll need to hope that someone else from their network walks past your tracker and pings its location. The other option is to turn on notifications for when you begin to separate from the tracker. 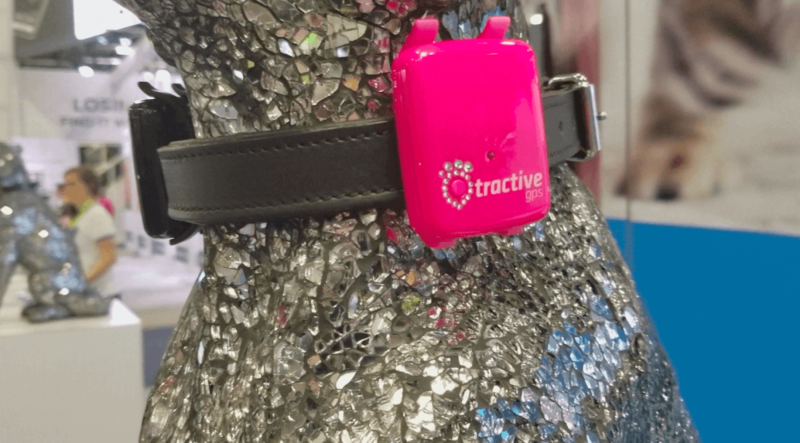 When I’ve heard of GPS dog collars in the past, I assumed they were very expensive, but that’s not the case with Tractive. The GPS monitoring requires monthly fees, but they start at just $5 per month for live GPS tracking that updates every 2-3 seconds. You can also set up geofencing to receive alerts when your dog leaves a pre-set area, like your yard. The tracker is rechargeable, waterproof, and snaps on to any dog collar using a clip. The biggest drawback is the weak battery, which lasts only a few days. However, it recharges quickly in two hours. You’ve heard of Reading Rainbow, but how about reading robot? 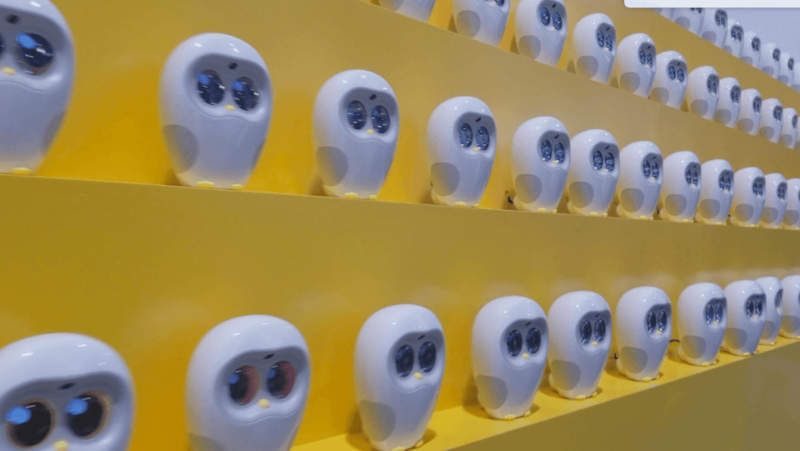 The Luka robotic reading companion can recognize the cover of your child’s book and then read its pages aloud, as long as the book is in their database of 50,000 children’s books. Luka reads on the current page, making it easy for kids to follow along and listen. Its cute (or creepy) eyes can blink and follow along with the text. Luka is currently available in China and will head to the U.S. later in 2018. As a small, cheap competitor to other Z-Wave hubs like SmartThings and Wink, the new ZLink hub costs less than $20 and works with Alexa. This means that many devices that only work with Alexa using a Z-Wave hub will be accessible at an affordable price thanks to ZLink. 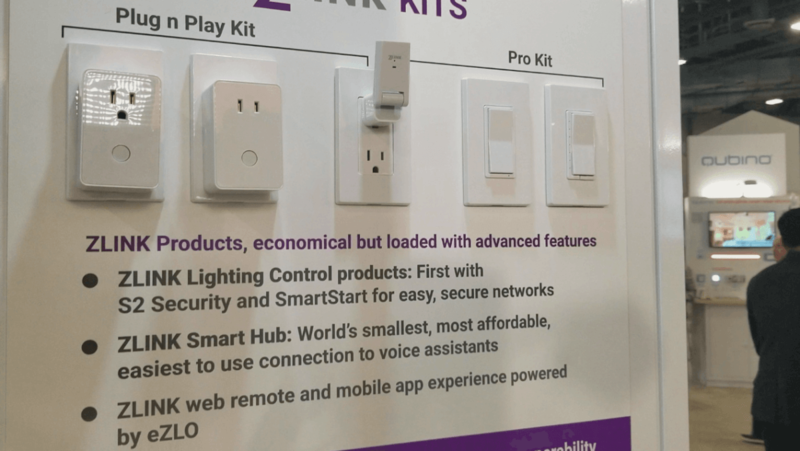 About the size of a USB, ZLink simply plugs into an outlet for small, minimalist control of your smart home devices. While the creators admit that its small size limits some of its functionality (it isn’t really designed for security cameras right now), ZLink is a great starter hub for connecting a few devices or adding Alexa controls. The hub also has iOS and Android apps for controlling all of your Z-Wave devices. 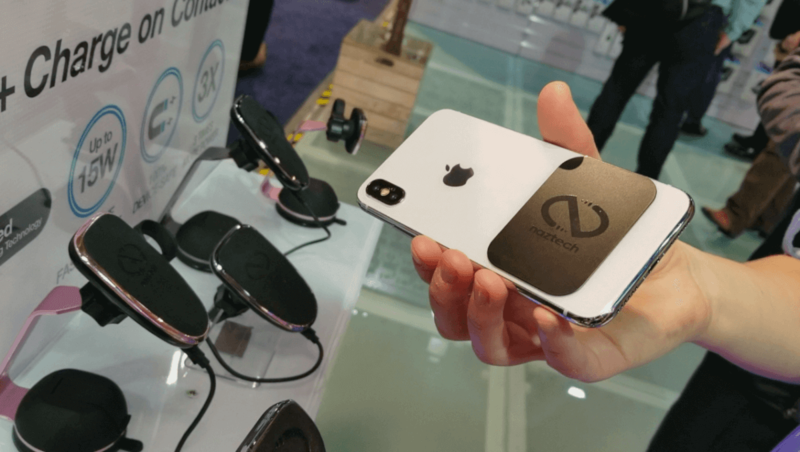 NazTech’s new MagBuddy Fast Charge makes it easy to wirelessly charge your phone while it’s mounted. By attaching the thin magnetic plate to the back of your phone, you can easily snap your phone onto the magnetic mount to charge your phone without any annoying wires. I also like the idea of keeping my phone visible for following directions on Google Maps, and MagBuddy gives plenty of options for mounting this in your cupholder, vent, dash, and more. Its Fast Charge has a capacity of up to 15 watts for super quick charging. The magnet was also very strong so I have no concerns about my phone sliding. The MagBuddy mounts will be available for pre-order in late February 2018 at $69.99 MSRP. Encouraging kids to brush their teeth is no easy task. 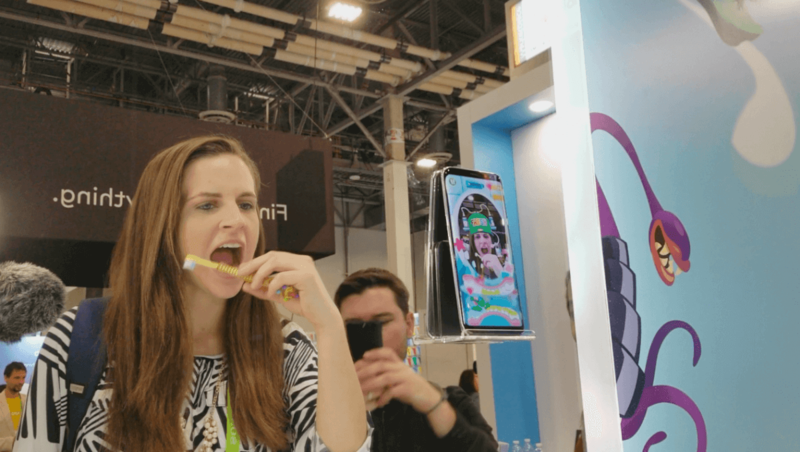 Kolibree’s new Magik toothbrush is making it a game through their AR app. By turning on the app, placing your phone at eye level, and selecting one of 15 different worlds offered, kids can see themselves, surrounded by monsters. To get rid of the monsters using bubbles, they brush their teeth in that area. When I tried it, the toothbrush definitely encouraged longer brushing, but unfortunately its sensor on the bottom made it a little difficult to use. If you cover the sensor with your hand, it won’t read your movements. I’m sure my little toddler could adjust to this, but it would take some learning at first. Tittle has been out since 2016, but caught our eye because its lamps are so impressive looking. The lamps have rows of 512 individual LED lights that synchronize for a one-of-a-kind, 3D look that can be viewed at a 180 degree angle. Tittle can receive emojis and paintings from its companion app. It also works as a music visualizer, making it ideal for a unique lamp at home, the office, or anywhere. Tittle is currently on sale on their website. This piano, called the ONE smart piano, is designed to teach you how to play. Its free iOS and Android apps comes with video lessons, games, and more than 2,000 songs of sheet music. 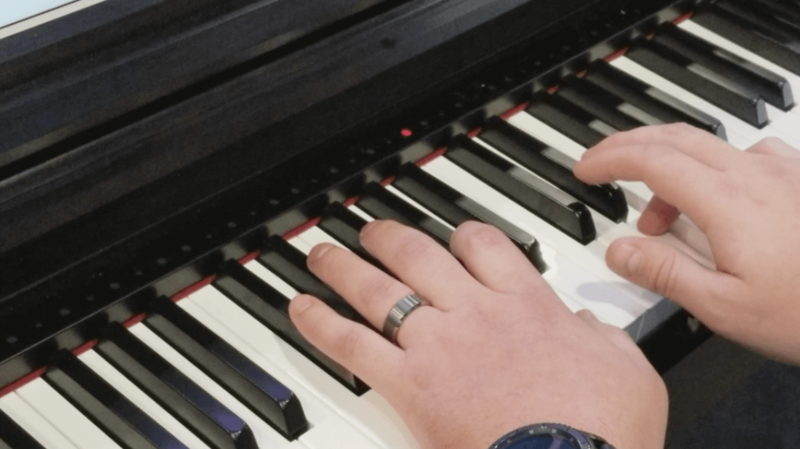 The LED lights above the keys show you exactly how to play a song, with blue for the left hand and red for the right. The piano also has an excellent sound and feels like a real wooden piano. It has weighted keys and three pedals for a realistic feel, and comes in black or white. This little speaker surprised us. 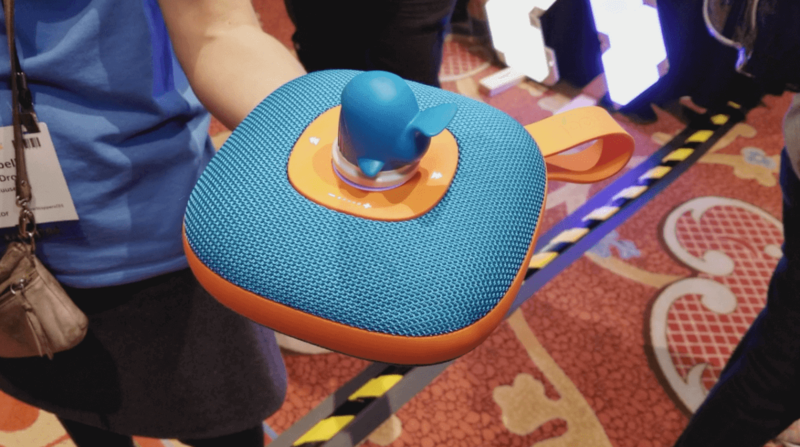 While there are too many wireless speakers at CES to count, this one is designed with kids in mind. Jooki plays different playlists of music or audiobooks based on which animal you set on the top of the speaker. In that way, it gives kids the power to put on the music they love, just like boomboxes did a few decades ago. It also lets parents keep their phones to themselves, which is clearly a big perk. The files play using either internal storage or WiFi streaming. You can easily drag and drop music from iTunes or elsewhere on your computer. Jooki started on Kickstarter and is now on sale through their website, shipping from the UK. 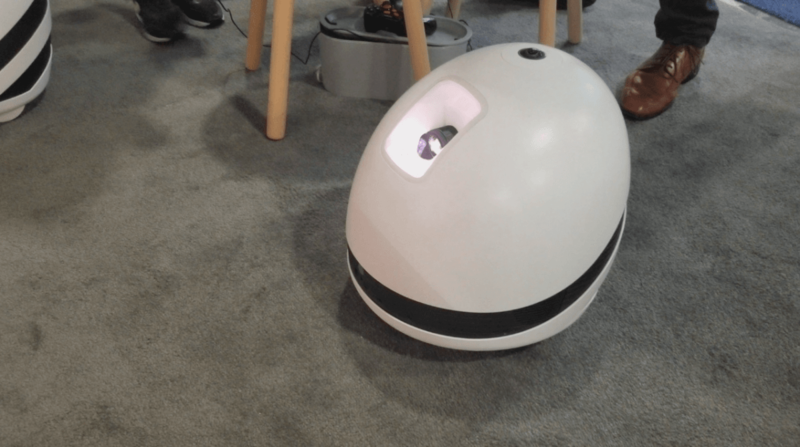 Keecker calls itself the “first multimedia robot.” That translates to this white robotic machine that wheels around your home and plays movies, TV shows, and music in any room of your home. Compatible with Netflix, Hulu, Google Play, Plex, Kodi, and even several live channels, Keecker is designed to be an all-around entertainment system for any room of your home. With a 360-degree camera, HD and 4K ceiling and wall projectors, a 4.1 audio system, sensors to avoid crashes, and two cameras for navigation and security, Keecker is decked out in technology. This obviously brings its price up; Keecker will set you back a hefty $1,790 for a 32 GB device. The battery life is 6 hours of full projection, sound, and movement, or or 7 days of only surveillance mode. The robot docks itself to recharge. While some of these are still a little overpriced, they all provide actual day-to-day value: for our cars, homes, kids, and more. If I had endless money, I would definitely buy any of these CES 2018 gadgets. Which ones do you think are worth buying? Let us know in the comments below!